Actress Hansika Motwani, after working for 8 months non stop and took a break to relax. She was accompanied by her besties and shared a picture of her kissing Dolphin. 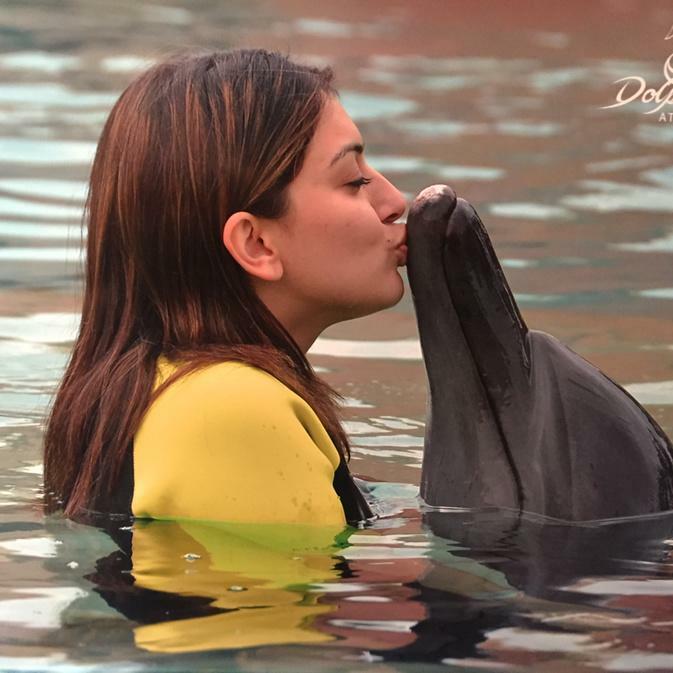 Hansika posted on twitter, " The most amazing part of my trip. Kissing the Dolphins on of my most memorable experience."